Text Marketing: Is it Worth It? In the world of social media marketing, email newsletters often seem outdated; so SMS marketing is considered old hat. Even though the Western world is focusing on responsive websites, apps and viral alternatives, SMS marketing still has a central place in the marketing mix for those in the developing world. Yes, it’s true that smart phone adoption has been rapid and projections suggest ownership will reach 75% in the UK in 2013. However, there are still a significant number of countries and a large percentage of the world’s population that rely on GSM and where the SMS message is king and this should not be forgotten. South America, Africa and large parts of Asia still rely on the cell phone. These are continents that hold the majority of the world’s population and also places where smart phone saturation has been smaller due to the cost of entry. In short, this means that while most people have a phone equipped with text messages, few have the next generation of phone. Landline saturation and internet access is also limited meaning conventional Internet marketing isn’t as successful. Though email and social media offer lower cost organic marketing options, they can’t compete in terms of reach. Bangladesh provides a good example of these factors considered here. According to statistics the country’s mobile cellular share as a percentage of all telephones was over 97% in 2008. Infrastructural issues mean that a physical line cannot compete with a radio network’s coverage. These infrastructural issues also limit the availability of Internet in the country. By May 2011 there were over 75m Bangladeshi subscribers to cellular networks in the country and these subscribers were around 20 times more likely to engage with a SMS message marketing campaign than with any other form of media. 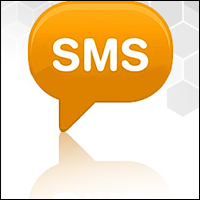 Of course, there are other benefits of SMS campaigns. For example according to Mogreet 98% of SMS messages are opened. This intimacy is something that not a lot of other forms of media can reach. Also, SMS is seen as a motivation and there is often more though of an SMS being sent than an email. For businesses that need to get in touch with customers or potential customers in the developing world, SMS messages are still a more than viable form of communication. In fact, there is a lot to be said for the use of this relatively rudimental service and how it can be used in the modern day marketing mix.